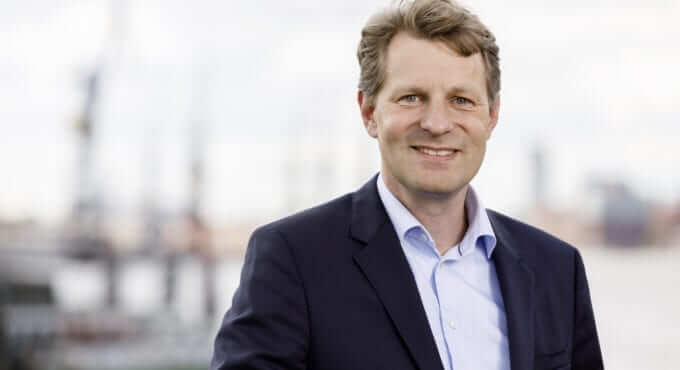 Hamburg, 11 January 2019: V.Group, the leading global marine and offshore vessel management and support services provider, today announced the appointment of Nils Aden as Managing Director of V.Ships Germany in Hamburg. The announcement reaffirms V.Group’s commitment to growing in, and leading the transformation of, the German shipmanagement market. Last year, V.Group announced that it would invest in a centre of excellence for container shipmanagement in Hamburg, bringing together the best expertise to deliver the highest quality service for its customers. As the shipmanagement segment consolidates, V.Group sees Hamburg as a key market, citing significant demand from the container, bulk, offshore and leisure segments for high quality, competitive and independent third-party shipmanagers embedded in the global v.Group company network. “It’s a pleasure to welcome Nils on board as Managing Director of V.Ships Hamburg. Nils’ leadership skills and experience of facilitating two successful integrations of businesses and cultures means that he will play a significant and leading role as we look to add the capabilities of Norddeutsche Reederei to our existing V.Ships Hamburg business.